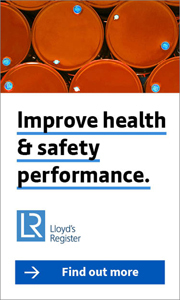 According to The Royal Society for the Prevention of Accidents, only 40% of major occupational accidents are reported each year, even though informing the Health & Safety Executive about such incidents is a legal requirement. You'd be a fuel to miss it! National charity Deafness Research UK will visit waste management solutions company Oakwood Fuels in Nottingham today, for a day of hearing screening for employees. Sponsored by BUPA and the BIG Lottery Fund, the charity’s experts will deliver screenings together with important information about good ear health. The Great British Asbestos survey results have recently been published wth the overall conclusion being that the risk of exposure remains. ARCA and ATAC, the leading industry associations for asbestos removal and asbestos management have announced the dates of their Asbestos Industry Update Seminars for 2012. The line-up includes industry expert speakers from UKAS and HSE. Powered access machine rental specialist AFI-Uplift has had its approach to the prevention of accidents and ill health recognised by gaining a Bronze award in the RoSPA Occupational Health and Safety Awards 2012.